14 RUNS! Runs continue to flow from Jonny Bairstow’s (47*) bat. Looks like the chase won’t last long if he continues like this in the middle. The opener hit Kagiso Rabada for three boundaries in the over. End of Powerplay overs. 12 RUNS! Another big over for the visitors. Jonny Bairstow (34*) continued to score boundaries at will. Hit a four off Axar Patel in it. 13 RUNS! Jonny Bairstow (17*) hit Sandeep Lamichhane for a six and a four off consecutive balls in the over. Overs 2.4: NOT OUT! Delhi lost a review early in the game. Sandeep Lamichhane’s delivery landed way outside the leg stump of David Warner. Excellent start from Axar Patel, gave away just one single it. But the bowler was guilty of dropping Jonny Bairstow on 5. Second wicket for skipper Bhuvneshwar Kumar, dismissed Chris Morris. Morris mistimed the slower delivery to give away a simple catch to Mohammad Nabi. Morris contributed 17 off 15 balls, which included a six and a four. Good recovery by Sandeep Sharma, conceded just eight runs including a six by Chris Morris (17*) to return figures of 1-25 in four overs. Shreyas Iyer (43*) and Chris Morris (8*) ran eight runs off Bhuvneshwar Kumar’s over. No boundaries in it. Shreyas Iyer (38*) hit Rashid Khan straight down the ground for a boundary, but just five runs came from the over. Overs 14.2: NOT OUT! Sunrisers Hyderabad lose their referral as Rashid Khan’s delivery was missing the stumps of Chris Morris (5). Chris Morris hit a four off Siddarth Kaul, but the pacer will be happy with his efforts in the over. A wicket and eight runs from it. Manish Pandey took a sharp catch to dismiss Colin Ingram (5). Siddarth Kaul opened his wicket account in the match. Nothing working in favour of the home side. Time for another time-out. 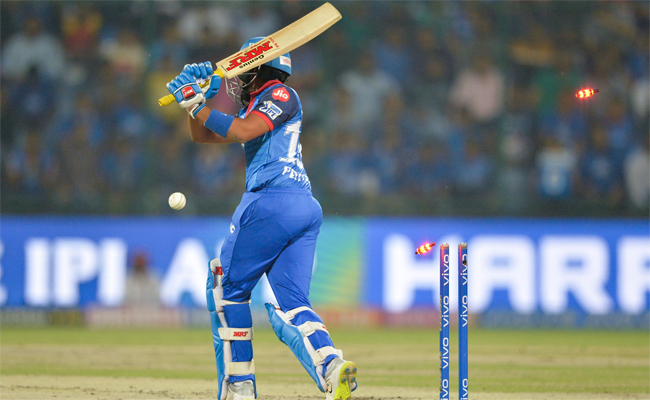 Skipper Shreyas Iyer (33*) hit a four off Sandeep Sharma in the over as Delhi scored seven runs in it. Tidy over. Rashid Khan conceded just four singles in it. Another good over from Sandeep Sharma – a wicket and five runs came off it. Rahul Tewatia (5) gave away a simple catch to Mohammad Nabi at cover. First wicket for Sandeep Sharma. Delhi losing wickets at regular intervals. Good catch by Deepak Hooda at long-off boundary to end Rishabh Pant’s innings. Second wicket for Mohammad Nabi. Delhi in trouble. Pant scored five off seven balls. Sandeep Sharma also started with a tidy over, conceded just five singles in it. * 50 comes up for Delhi Capitals in 8.3 overs. Shreyas Iyer started the Rashid Khan over with a four, but the spinner came back strongly after that. Conceded just two more runs in the over. Another tidy over for the visitors. Siddarth Kaul gave away just five singles in it. Shikhar Dhawan top edged one while trying to sweep Mohammad Nabi, and gave away a simple catch to Sandeep Sharma at fine leg. Dhawan scored a watchful 12 off 14 balls, hitting just one four. Decent over from Siddarth Kaul, gave away just eight runs including Shreyas Iyer’s six. Overs 4.3: SIX! Shreyas Iyer hits Siddarth Kaul over long-on for first maximum of the match. Another tidy over from Mohammad Nabi, conceded just four runs in it including a leg bye. Excellent over from Bhuvneshwar Kumar, a wicket and a single in it. Big wicket. 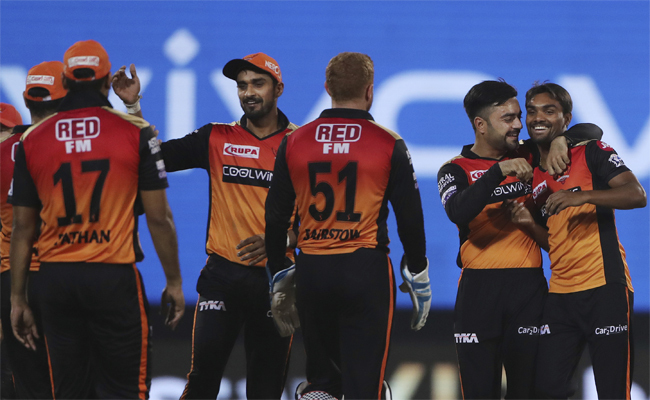 Skipper Bhuvneshwar Kumar gave SRH the breakthrough, castled Prithvi Shaw’s stumps with a slower delivery. Shaw (11 off 11, 2x4s) had hit the pacer for two boundaries in the previous over. Tidy over by Mohammad Nabi, gave away six runs in it – all in singles. Good, confident start for the hosts. Prithvi Shaw (8*) hit two boundaries off Bhuvneshwar Kumar. Over 0.1: FOUR! What A Shot. Prithvi Shaw starts with a back foot cover drive for a boundary. 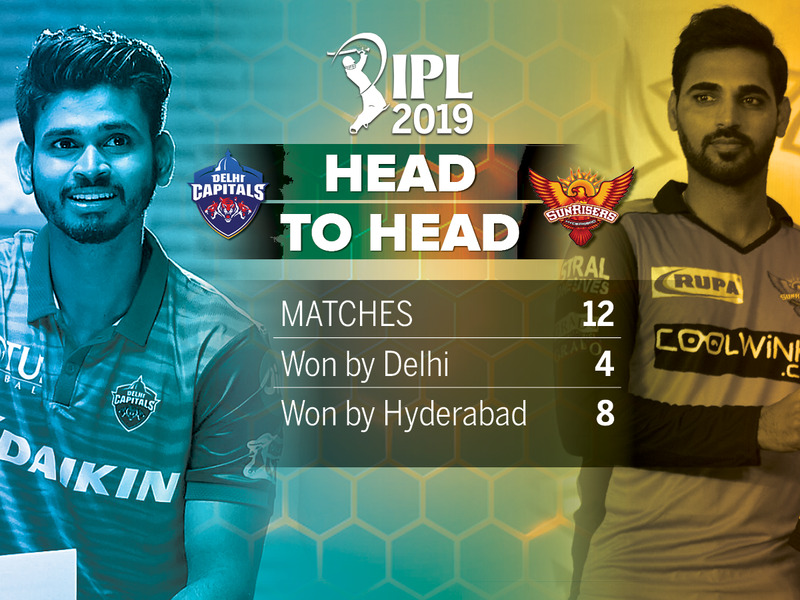 Hello and welcome to the live coverage of the IPL match between Delhi Capitals and Sunrisers Hyderabad at the Feroz Shah Kotla stadium in Delhi.